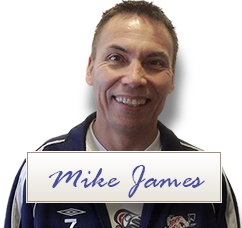 Mike James has been delivering self help programs since 1985, Mike’s method of helping individuals deals with their specific needs is a three step process; first the contact person from the community will identify certain areas of concern, second, Mike will add his recommendations and third and most important is when he arrives in the community with the “target group”. One of the first exercises he does is to conduct a “needs assessment” with the group. Mike believes it is important that the participants know their needs is the first priority. Sadly, in more than 90% of the programs he delivers, participants identify their need to deal with the issue of Suicide. Our Aboriginal people are in a state of crisis; the suicide rate in Native communities is higher than any other race. Suicide is an extremely complicated issue and although there isn’t a particular time or place that it hits, I have found that in many of the communities I have worked in, suicide and depression appear to surface more during the holiday season. In many of our Native communities it has became an accepted method of dealing with problems. There is a myth about suicide; people believe that if they don’t talk about it, it won’t happen, it is looked at as “taboo” and people hope the problem will go away. Although this is a common belief, it couldn’t be farther from the truth. The reality is that this adds to the pressure for people contemplating suicide; they feel unimportant and abandoned, which increases their drive towards suicide. More and more of our communities are being forced to change this thinking, the tragedies are becoming more relevant and often family and loved ones are at a loss in trying to deal with this issue. We need to educate our communities that Suicide is a legitimate illness and depression is 1 of 5 illnesses connected to suicide. The facts are clear; “Suicide is higher in Native communities than any other race”. There are many issues that contribute to Suicide; illnesses, guilt, blame, embarrassment, shame, the list goes on. The Suicide prevention program will help individuals become aware of destructive thinking and behavior patterns, understand how medical issues are connected to suicide, offer tools to help make healthier decisions and move forward to a happier and healthier future. The Suicide Prevention programs needs a minimum of 5 days to deliver the initial program; due to the serious nature being dealt with, follow up and refresher sessions are required to keep participants moving forward in their “healing journey”. Please contact us to set up a program in your community.